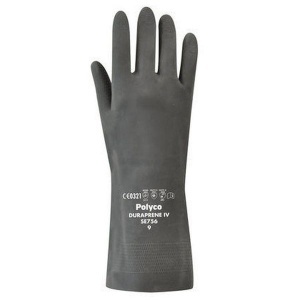 The Polyco Duraprene IV Neoprene Chemical Resistant Glove is an unsupported chemical resistant Neoprene rubber glove with a cotton flock lining. 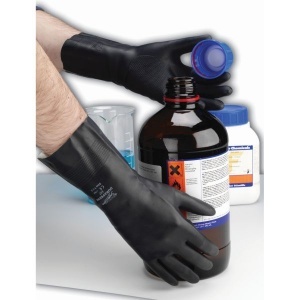 This synthetic rubber glove performs well to protect against acids, alcohols and other chemicals. 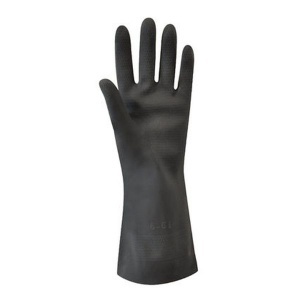 Anatomically shaped for comfort, this chemical resistant glove is highly flexible making it extremely dextrous and minimising hand fatigue. The Polyco Duraprene IV Neoprene Chemical Resistant Glove has an embossed diamond pattern over the palm and fingers for superb grip in both wet and dry conditions. 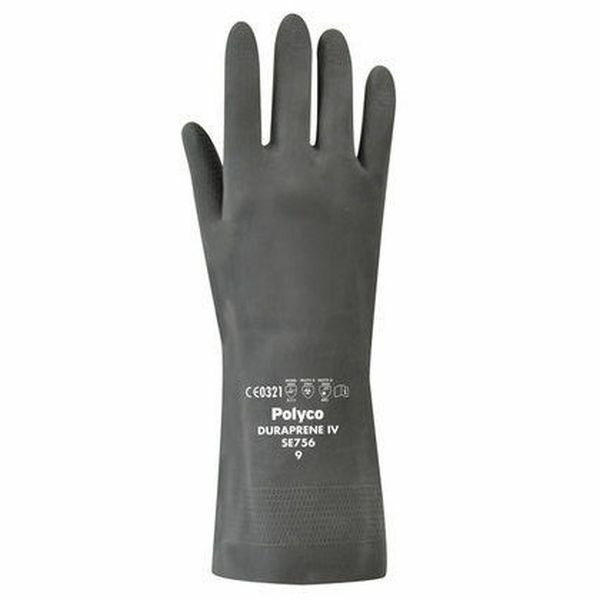 This safety glove also attains a high mechanical score of abrasion resistance enhancing its mechanical protection and durability. 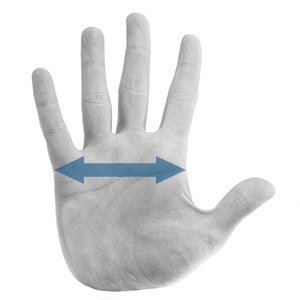 The cotton flock lining is soft and absorbent keeping the hands cool and comfortable. 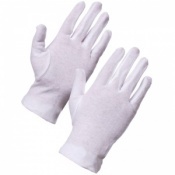 Duraprene IV gloves are ideal for use in cold conditions as they maintain their eleasticity even in low temperatures. 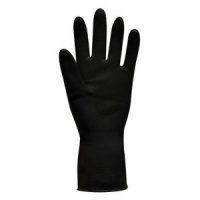 The product code for these gloves is SE755. Embossed diamond grid pattern affords high levels of grip for the user. Cotton flock lining absorbs perspiration keeping hands cool and easing donning and doffing. Anatomically shaped for greater user comfort. 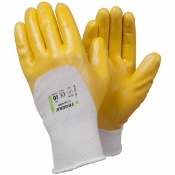 These safety gloves are also 32cm long for added forearm protection. First class service. Product arrived on time. Fit well and work great.